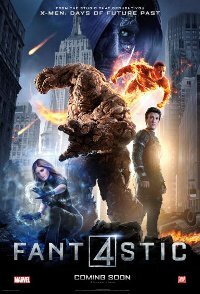 A reboot of the 2005 film, this once again tells the origin story of the Fantastic Four. Four young outsiders teleport to a dangerous universe, which alters their physical form in shocking ways. Their lives irrevocably upended, the team must learn to harness their daunting new abilities and work together to save Earth from a former friend turned enemy. The reviews have generally been negative.